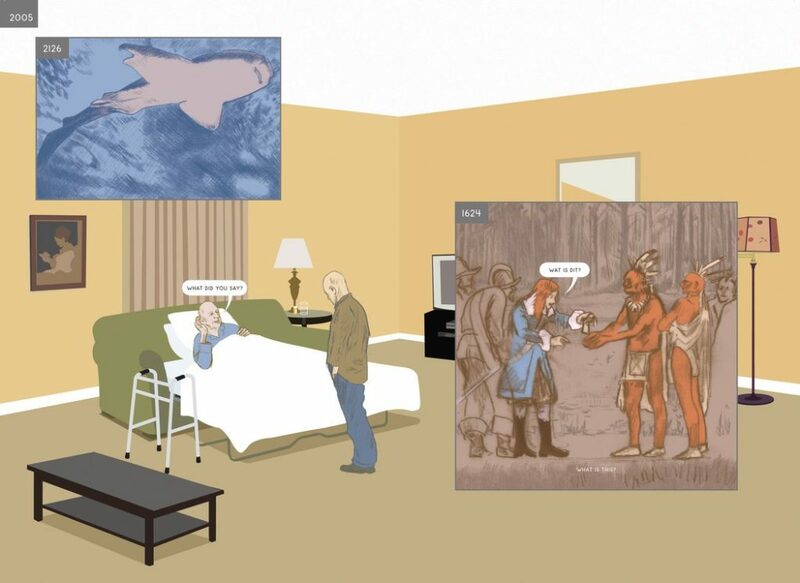 Richard McGuire’s Here appeared initially as an experimental black and white strip in avant garde comics magazine RAW in 1989. He revisited the comic for the full-color graphic novel that was published in 2014 by Pantheon Books. Read my post on Here. Another post on a recent INKS article about Will Eisner and Jack Katz is here. Here image © 2014 Richard McGuire for Pantheon Books. Get the new issue of INKS. Disclosure, I guess: I am a member of the Comics Studies Society.